SBI PO 2018 Notification PDF Download (Official) - State bank of india has released official notification for the recruitment of probationary officers, check detail here. 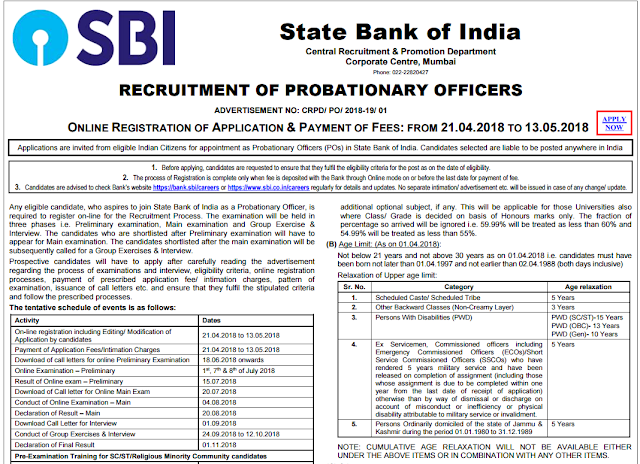 SBI PO Recruitment Notification-Online Applications are invited from eligible Candidates for appointment as Probationary Officers (POs) in SBI. the selected Candidates are liable to be posted anywhere in India, Check below official notification PDF, Important dates, eligibility criteria, etc. All the best, stay here for more details.